A professional with over 20 years of expertise and education, Dr. Abrams is the Lower Bucks County family dentist of choice! Both an experienced family and emergency dentist, Dr. Abrams and his staff at Levittown Family Dental Associates will address all of your concerns, whether it is a simple cleaning, a complex procedure or a dental emergency. 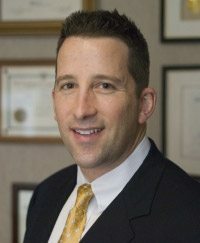 He’s also a nationally recognized and awarded expert in sleep disorders and dental medicine with the ability and skills to potentially help you eliminate snoring and alleviate sleep apnea symptoms by using an unobtrusive oral device instead of a cumbersome nasal CPAP machine. You can rest easy knowing that Dr. Abrams and the staff at Levittown Family Dental Associates are ready to provide you with excellent oral hygiene and better overall health.